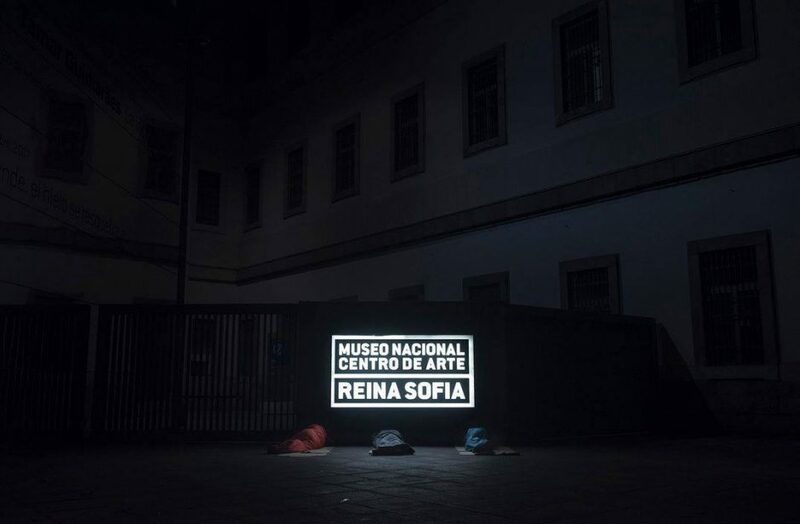 En noviembre del 2016, la moneda venezolana comenzó a depreciarse de forma acelerada. Los Venezolanos que se describen a si mismos como de clase media vieron esto como una señal de altos índices de inflación para el mes de diciembre y para el año 2017. Durante este periodo, ejercicios comunicativos de comparación y escala tomaron lugar central en muchas conversaciones de la vida diaria. En este artículo, yo argumento que tales ejercicios constituyen un registro contextual que puede ser usado para codificar sentimientos de ansiedad, rabia y desesperación de cara a un desastre económico inevitable. Este registro también ha ayudado a articular el cambiante sentido de orientación temporal, en el cual muchos de aquellos venezolanos que tenían fe en el futuro de la revolución bolivariana han venido a compartir, en algún grado, el sentido de saturación del presente de la clase media. Fernando Sánchez, one of the leading photojournalists in Spain, will show some of his eight-year-long photographic project about Madrid’s daily life during the crisis. This will be followed by an open discussion about the contemporary situation in Spain, including the economic crisis, political instability, the rise of social movements like 15M and the Mareas. The conversation will be in Spanish. Antiracist pedagogy in the language classroom? Sure, but why, how?! This presentation explores how the inclusion of sociolinguistics content in a language classroom plays a role in developing explicit antiracist linguistic awareness and how this awareness influences motivation and linguistic proficiency. 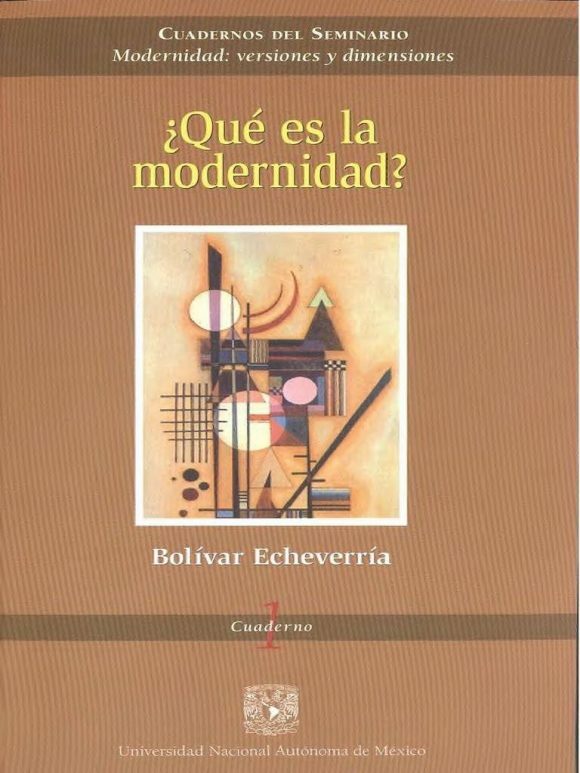 Departing from an epistemological perspective rooted in critical applied linguistics, a longitudinal study with qualitative and quantitative components was carried out with advanced students of Spanish as a second language within a content-based instructional model. This presentation will focus on how integrating contents related to the sociopolitical dimension of language influenced linguistic awareness and motivation. Moreover, examples of how to integrate these contents in daily instruction will be presented. Raised in Alcorcón, Madrid, and a long-time resident of Brooklyn, Dr. José Magro comes to us with a rich background as an international Spanish Hip-Hop artist and educator. His primary areas of research are sociolinguistics, critical applied linguistics, language and identity, language ideologies, glotopolitics, translation, bilingualism, Spanish as a heritage language in the USA, mixed-methodologies, and, very particularly, Hip-Hop and explicitly anti-racist pedagogies. His work as an artist has been published and featured worldwide. As a Hip-Hop educator, his work has been featured in The Huffington Post, and as a scholar his latest publications are: Talking Hip-Hop: When stigmatized language varieties become prestige varieties (Linguistics and Education, 2016), Aplicación de la Teoría Crítica de Raza en la organización y representación del conocimiento (Mártinez-Avila, Ferrera, Magro, SCIRE, 2015), and Cine infantil, doblaje e iconización: Traduciendo el cómo enseñar a los niños a discriminar (LARR, 2017 in proc.) He is currently a Visiting Assistant Professor at the University of Maryland at College Park where he teaches Translation, Sociolinguistics, and Spanish. When I created an Instagram account in 2015 for the PhD Program in Hispanic and Luso-Brazilian Literatures and Languages, I admit, I didn’t really know what I was doing. Instagram was a fairly unknown platform for me, despite its wide use among Millenials and in our program. Being so different than the two social media platforms we were already using in the program—Facebook and Twitter—proceeding in much the same way as on those was not practical or yielding results, although I tried. In a nutshell, Instagram is a photo-sharing application for mobile devices, and because it has maintained this identity throughout its growth, Instagram has purposeful limitations that make it a less-than-ideal platform for the announcing of upcoming events, calls for papers, directing users to more information, pre-scheduling posts, etc. In short, the social media strategy applied to our Facebook and Twitter accounts was not an effective Instagram strategy. And the account sat, mostly unused, for many months of the year. Several weeks ago, I joined Instagram myself, partially because I wanted an outlet for the pictures I like to take while running in the city and partially because a friend of mine adopted a puppy and shared adorable puppy photos on Instagram daily. And also partially because I thought that through using the platform personally, I’d be more prepared to tackle it as a Social Media Fellow. After several weeks of personal Instagram use and browsing through the often quotidian, often captivating photos of others with their witty hashtags, I was struck with an idea. Actually, the idea is not mine, but I remembered that the Twitter account, @sweden, has a new Swede Tweeter every week. I thought this model, called Rotation Curation, would be particularly interesting, novel, and a more fruitful use of the program’s Instagram account. The intention of Rotation Curation on Instagram is to use the platform not so much as an account broadcasting news and upcoming events from our program, but rather keeping in line with its strengths showcasing spontaneously captured photos rather than planned images and information. The first Rotation Curation post on our account is mine: an adorable minor frustration during my dissertation writing. As the curation of the program’s Instagram account moves throughout the members of the HLBLL community, we will have glimpses into the lives of students from the first year to their last, taking classes, preparing for exams, teaching on various CUNY campuses, writing dissertations, organizing and attending events, looking up in awe at the Midtown skyline. …are given as much weight as a lecture in our spring Colloquia Series. We are now beginning our third week of this Rotation Curation experiment. New curators announce their guardianship of the account in its profile and I have encouraged each one to invent their own hashtag signature for their posts. And so I invite you to follow the HLBLL Instagram account and check out all that this Rotation Curation experiment has to offer. Prospective Students! It’s a window into our program! Graduate Center community! We’re having fun and working hard! HLBLL PhD Candidates! Feel nostalgia for first exam preparation! HLBLL Level 1 Students! Your dissertation-writing colleagues are scarcely seen but churning out the pages! HLBLL students, future Instagram curators of all PhD levels are wanted for weeks starting April 10th. No personal Instagram account is required: just a willingness to download the app on your smartphone. If you are interested, send me a message: jprince[at]gradcenter[dot]cuny[dot]edu. This is the final HLBLL blog feature in Summer Series on Fall Teaching (SSOFT). We hope that our brief writeups and links to resources in the CUNY world and beyond have helped you prepare for the upcoming semester of teaching in CUNY. This week, SSOFT features The Linguist’s Kitchen. Ian Phillips, PhD candidate in Linguistics at the Graduate Center, developed The Linguist’s Kitchen with the support of the New Media Lab and a Provost’s Digital Innovation Grant. The application will be launched shortly. Ahead of its launch, creator Ian Phillips shared a bit about how The Linguist’s Kitchen came to be and how CUNY instructors and students might use it in the classroom. Read our interview below. The site is called “The Linguist’s Kitchen.” So what does it mean to “cook” data? If you go out there and collect linguistic data in the world, that’s a bit messy, you need to clean it up. So the idea is that [using The Linguist’s Kitchen] you can cook it up, clean it up. In linguistics, cooked data will allow you to learn something, come to a generalization. Could you tell me a bit about how you came up with the idea for the Linguist’s Kitchen? Why do you think it’s a helpful application? At the time I was in the ITP [Instructional Technology and Pedagogy certificate] program and also teaching a course at City College called Languages and Dialects in Cross-Cultural Perspective. I was teaching this course and most of the students had never thought about language as a system, something that could be analyzed for something other than meaning. One of the important parts of the course is talking about syntax and how all languages have syntax. But we didn’t get really deep because it was introductory. We talked about syntactic constituents and identified phrase structure rules. And the students had a hard time with that because there are so many ways to analyze a sentence. So the idea was, since all languages have rules, why can’t we analyze their own language practices. That was the motivation [for this site], and maybe it will help student engagement because they are analyzing their own languages. They are the experts. How do you expect to see The Linguist’s Kitchen being used in classrooms? Test groups thought that even just a portion of this site, like identifying parts of speech of a sentence, would be great for some classes. A recurring theme is that it would be good to use in conjunction with classroom instruction. It’s not quite at the point where the students can just go at it alone. It can be used for students to analyze their own languages, but a good starting point would be to have instructors give students lists of sentences to be analyzed that they know would work out well. This interface also would be good to analyze sentences where there is code switching, which a lot of students are interested in. It could also be used for any course where you’re teaching anything about language learning. Sometimes students come in and don’t know the parts of speech. I’d like to emphasize that this was an experiment in pedagogy, and I really just wanted to see if this could improve teaching and learning in the classroom. 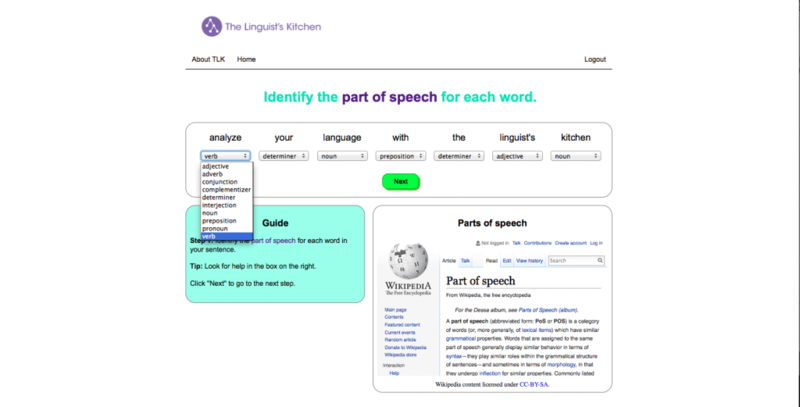 If you choose to use The Linguist’s Kitchen in your classroom this fall, Ian appreciates feedback on how you and your students use the site, and on any bugs you find. 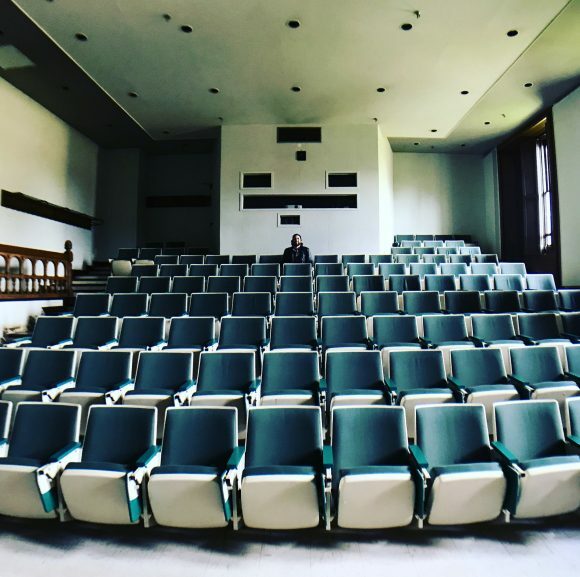 Each Monday until the beginning of the school year, the HLBLL blog will feature a Summer Series on Fall Teaching (SSOFT), with brief writeups and links to resources in the CUNY world and beyond to help you prepare for the upcoming semester of teaching in CUNY. This week, SSOFT features Open Educational Resources (OER). Open Educational Resources (OER) are, according to the William and Flora Hewlett Foundation “teaching, learning, and research resources that reside in the public domain or have been released under an intellectual property license that permits their free use and re-purposing by others. Open educational resources include full courses, course materials, modules, textbooks, streaming videos, tests, software, and any other tools, materials, or techniques used to support access to knowledge.” Many OER are licensed under the Creative Commons, which allows users to access, copy, and share the work (non-commercially, very often), and also may allow for some adaptation or remixing of the material. Whether you’re looking for ways to tweak your syllabus, provide enriching one-day lessons, or jump start lesson planning of your own, OER could prove useful in your teaching this fall. CUNY Central’s Library Services maintains a guide on OER and also an OA/OER Toolkit. Included in the OER guide is a non-comprehensive list of OER that you could employ in your classrooms. Click through on the links below for some OER guide highlights for you to explore in greater depth. OER Commons: A library of digital OER with advanced search tools to find the appropriate resources by course subject, course level, resource type, etc. 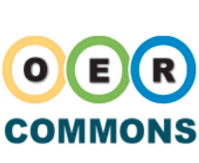 Follow OER Commons on Twitter. Community College Consortium for Open Educational Resources: CCCOER maintains a list of OER, with corresponding links to content. One CCCOER goal is to enlist community college professors to refine and expand the existing resources so that current and future community college students have free access to quality materials rather than having to pay for expensive proprietary textbooks and workbooks. Follow CCCOER on Twitter. 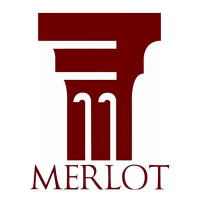 Multimedia Educational Resource for Learning and Online Teaching (MERLOT II): MERLOT is a project of the California State University system and its partners to provide high-quality OER to educators and students and to allow educators to freely share resources they have developed on their own. Follow MERLOT on Twitter. 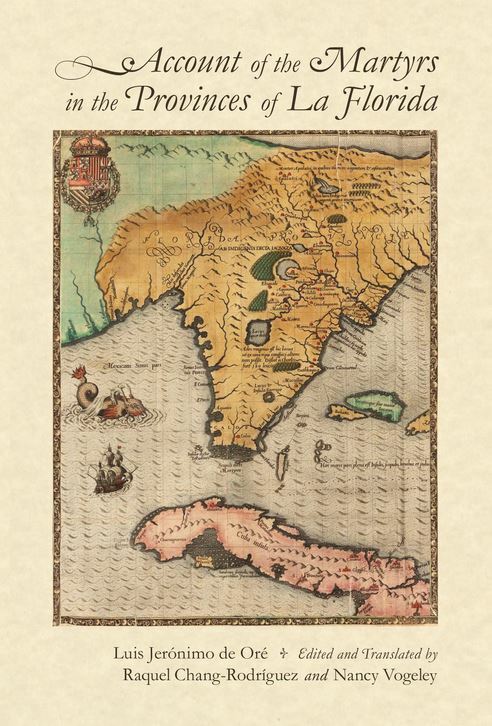 An oral recording and paleographic transcription of all five+ hours of the Cantar de mio Cid, intending to allow students of the epic poem to appreciate its oralidad. “Mi vida loca”: A 22-episode BBC mystery web series set in Madrid to teach Spanish vocabulary and grammar to beginners. Trabalenguas: A site with 145 tongue twisters for pronunciation and vocabulary practice. This week, SSOFT features the Graduate Center’s Teaching and Learning Center. The Graduate Center’s Teaching and Learning Center (TLC) was founded in 2015 and is officially part of the Office of Career Planning and Professional Development. The TLC’s inaugural director is Dr. Luke Waltzer, a Graduate Center alumnus in History and former professor at Baruch College. The Center is also staffed by three fellows: Anke Geertsma, Andrew McKinney, and Avra Spector. The TLC hosts regular workshops throughout the semester on issues germane to teaching at CUNY, from teaching English Language Learners to designing courses. The summer schedule is set to help Graduate Center students prepare their syllabi for the coming semester with three drop-in workshop sessions on August 19 (10am-2pm), August 22 (12pm-4pm), and August 23 (3pm-7pm), all taking place in room 9204. Additionally, the TLC hosts regular office hours during the semester (schedule TBA), and summer office hours are by appointment only. Email tlc@gc.cuny.edu to request a summer appointment. The TLC staff is working hard to publish guides for Graduate Center students as they navigate teaching at CUNY and beyond. Current published guides are New To Teaching?, WAC-WID/QR (about the Writing Across the Curriculum/Quantitative Reasoning fellowship year), and Navigating CUNY. More guides on everything from instructional technology to going on the job market are forthcoming. Keep up with and join discussions on the upcoming TLC events, announcements of new guides, and other news, including relevant fellowship opportunities on their CUNY Academic Commons public group. And follow the TLC on Twitter. This week, SSOFT features free website services–OpenCUNY and the CUNY Academic Commons–and the new Commons writing environment, Social Paper. The CUNY Academic Commons hosts the HLBLL site and provides a social media and website platform for CUNY faculty, staff, and graduate students using the open-source content management system WordPress as its foundation. Read more about the Commons on its Wikipedia page. Through the Commons, users can create sites for programs, groups/organizations, courses, or for individuals. All sites are free. Users can also create and join groups, both public and private, and connect with individual users of the site as friends. The Commons can be used to create a course site that is much more dynamic, flexible, and attractive than other Learning Management Systems available, although without some built-in features customary to an LMS like Blackboard. The Commons currently has over 300 plugins available for users to expand the functionality of their site, with everything from an academic citations generator to a widget that displays a Twitter feed. Additionally, pages can be password protected so that they are only accessible by your students. 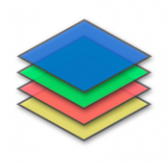 Social Paper is a Commons feature that allows for sharing and giving/gathering feedback on writing. Created by PhD students Erin Glass (English) and Jennifer Stoops (Urban Education) with Professor Matt Gold, Social Paper was developed with the Commons team and funded in part by a National Endowment for the Humanities grant. Read all about Social Paper’s capabilities in this post by Sarah Morgano on the Commons News blog. The one drawback to using Social Paper as a writing, sharing, and feedback resource for courses taught outside of the Graduate Center is the limitation of the available sharing settings. Papers can be kept private or privately shared via invitation with Commons users selected by the author. But as the Commons’s membership includes CUNY faculty, staff, and graduate students, the students in many CUNY courses are not eligible for accounts. Papers can also be completely public, which would allow non-Commons users to comment on them, but also would make them open to comment from anyone else. Predating the CUNY Academic Commons, OpenCUNY is a student-run, student-based, participatory digital medium which provides a free WordPress platform for websites created by the Graduate Center community. OpenCUNY is an affiliate of the Doctoral Students’ Council and is run by three student coordinators. An advisory board of four OpenCUNY student users is elected each spring by OpenCUNY participants. OpenCUNY sites have been used for everything from personal and course sites to sites for student groups and PhD programs. Over 70 plugins are available for site customization, and pages and/or entire sites can be password protected. The OpenCUNY coordinators maintain an extensive archive of FAQs and tutorials created specifically with the Graduate Center student in mind; OpenCUNY.info assists their users in beginning and maintaining a site. The coordinators are also available for individual meetings with student users of OpenCUNY to assist them in getting started or refining their OpenCUNY sites.